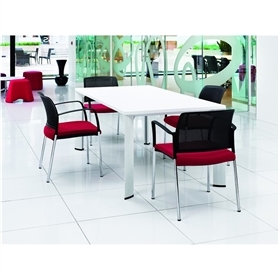 Boss Design Deploy flip-top table is available in a range of sizes. 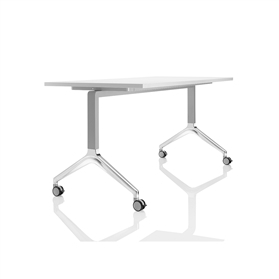 Standard specification includes Polished aluminium leg frame, square edge top profile, lockable castors and the easy to use red release top button. Standard melamine wood finishes are Steamed Beech, White, Maple, Black American Walnut and Oak.